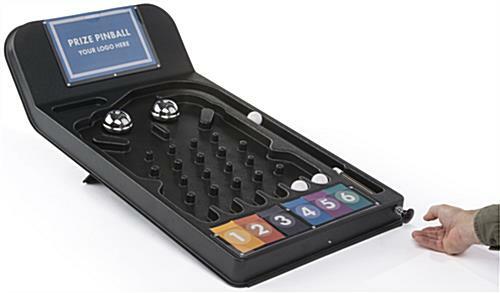 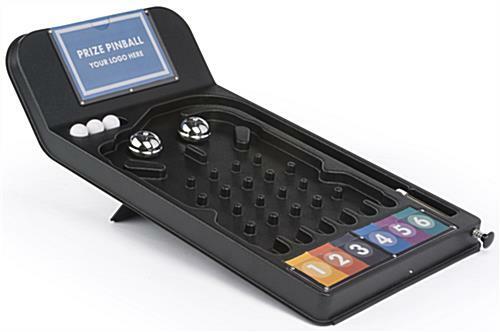 This pinball trade show game is a retro arcade-style prize picker designed to attract attention at public trade show and expo events, conventions, parties, conferences, or meetings. This countertop fixture is made of durable black ABS plastic, with a slide-in header, six prize slots, and spring-operated ball-launcher. 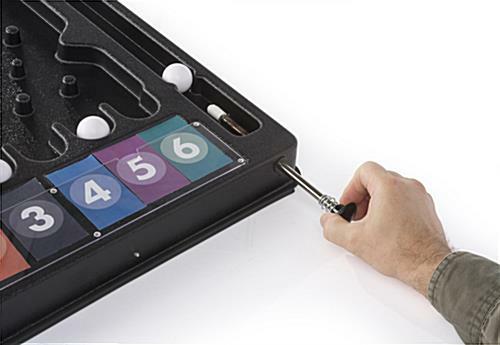 This simple arcade-style trade show game allows customers, visitors, and passers-by to simply insert one of the three included white plastic balls, pull back the lever, and release it into the mechanism. 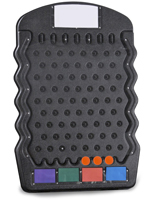 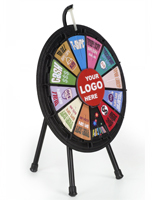 This fun convention or expo event accessory has a top-insert header frame as well as 6 prize label holders. 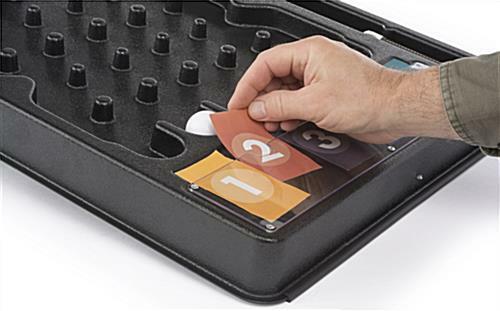 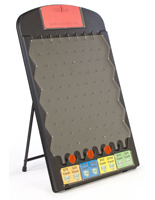 This easy to use countertop retro interactive trade show game comes with simple templates that allow users to edit, update, and print out customized labelling. 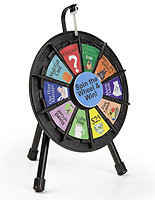 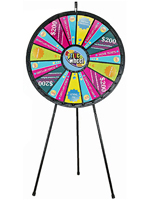 This black plastic interactive carnival, convention, or booth promotion gaming fixture is a great choice for businesses, schools, and organizations to build excitement among customers and event attendees. 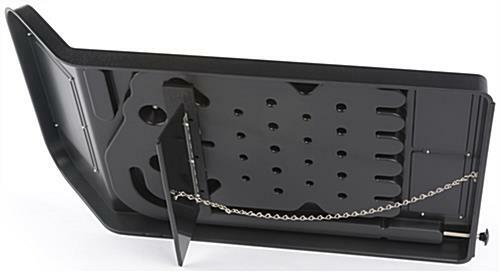 19.3" x 13.5" x 35.5"